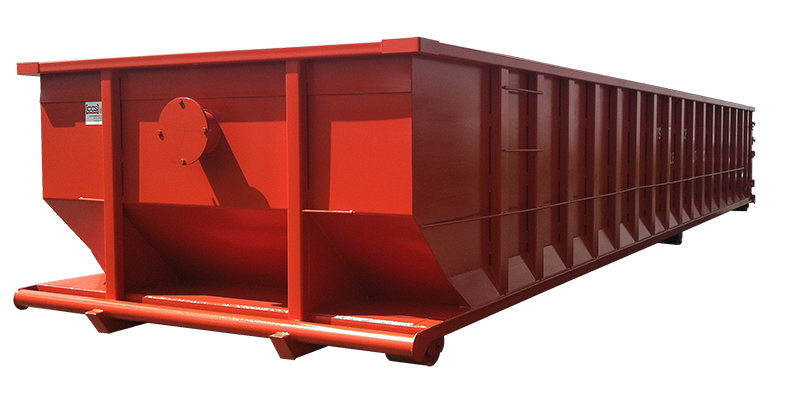 A mixing container looks like a traditional roll off, but has no door and usually includes internal gussets on all four sides to keep debris from getting caught in the corners. A staple of the gas and oil industry, the mixing or cutting container is used to mix the liquid by-product of drilling (cuttings and mud) and other medium until it is solid and ready for landfill disposal. These containers have no gate and are watertight.